Mark Yusko is the Founder, CEO and Chief Investment Officer of Morgan Creek Capital Management. 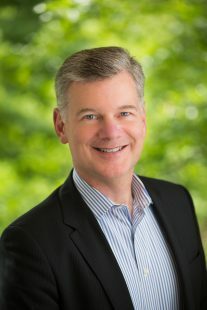 Prior to forming Morgan Creek, Mr. Yusko was President, Chief Investment Officer and Founder of UNC Management Company, the Endowment investment office for the University of North Carolina at Chapel Hill, from 1998 to 2004. Throughout his tenure, he directly oversaw strategic and tactical asset allocation recommendations to the Investment Fund Board, investment manager selection, manager performance evaluation, spending policy management and performance reporting. Total assets under management were $1.5 billion ($1.2 billion in endowment assets and $300 million in working capital). 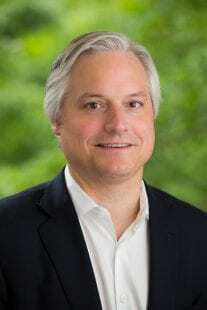 Until 1998, Mr. Yusko was the Senior Investment Director for the University of Notre Dame Investment Office where he joined as the Assistant Investment Officer in October of 1993. He worked with the Chief Investment Officer in all aspects of Endowment Management. Mr. Yusko received his Bachelor of Science Degree, with Honors, in Biology and Chemistry from the University of Notre Dame and a Master of Business Administration in Accounting and Finance from the University of Chicago. Mr. Yusko is an Advisory Board member of a number of private capital partnerships and alternative investment programs and has served as a consultant on alternative investments to a select group of institutions. Mr. Yusko is an Investment Committee member of the MCNC Endowment, President and Chairman of the Investment Committee of The Hesburgh-Yusko Scholars Foundation at the University of Notre Dame, and President and Head of Investment Committee of the Morgan Creek Foundation. 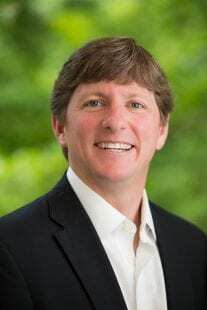 Mike Hennessy is a Co-founder of Morgan Creek Capital Management, and serves as the Director of Investments. In this role, Mr. Hennessy provides oversight to the Private Investments Group, and acts as a Portfolio Strategist on portfolios beyond private investments, including work with Morgan Creek’s advisory clients and proprietary funds. 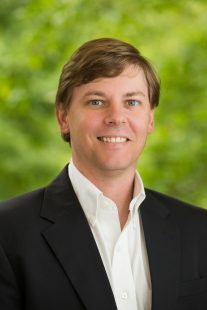 Prior to joining Morgan Creek in 2004, Mr. Hennessy was Vice President and a founding member of UNC Management Company. Primary areas of responsibility included domestic equity, international and emerging markets equity, opportunistic equity, absolute return, fixed income, enhanced fixed income and private investments. Mr. Hennessy also assisted in developing overall investment objectives as well as strategic and tactical asset allocation for the funds. Mr. Hennessy was responsible for monitoring both public and private individual managers and overall portfolio performance, as well as risk management. Prior to joining UNC in 1999, Mr. Hennessy was an Investment Director at Duke Management Company (Duke University) where he assisted in the management of multi-billion portfolios across all asset classes of various University-related investment pools. 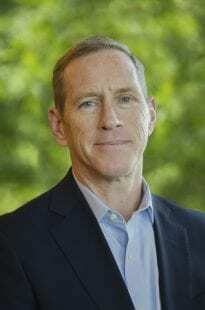 Before joining Duke in 1991, Mr. Hennessy was an Associate at Amundi Smith Breeden Associates, a quantitative investment management firm with offices in Durham, NC. Mr. Hennessy received his Master of Business Administration with a concentration in Finance from the Fuqua School of Business at Duke University and he also holds a Bachelor of Science Degree in Philosophy, Psychology and Mathematics from the College of William and Mary. Mr. Hennessy is Treasurer of Duke University Federal Credit Union, a member of the Investment Committee at the Carolina Friends School, a director of the Morgan Creek Foundation, Emeritus Trustee of the College of William & Mary Foundation Board of Trustees, and former member of its Executive Committee and Investment Committee (immediate past Chair), and a Trustee of the Murray 1693 Scholars Foundation. Daniel J. Kingston is a Managing Director of Investments at Morgan Creek Capital Management. Previous to joining Morgan Creek, Mr. Kingston was a Managing Director responsible for heading the portfolio management at Vulcan Capital, the family office investment vehicle for Microsoft Founder Paul Allen in Seattle, WA. At Vulcan, Mr. Kingston was responsible for strategic and tactical asset allocation development for the investment portfolio, as well as all of Vulcan’s investments with external managers. Prior to managing Vulcan, Mr. Kingston was CIO at the Kauffman Foundation, a $2 Billion non-profit where he was responsible for managing all aspects of the Foundation’s investment function. 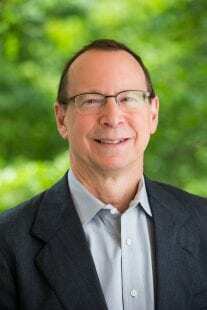 Prior to his family office and foundation experiences, Mr. Kingston was a Managing Director at the Stanford Management Company investing the endowment, and other University assets in Menlo Park, CA. In that post, he was responsible for the development and management of internal investment strategies for Stanford University’s investment portfolio. He first joined Stanford in 1990 after having spent time as a financial analyst with Hewlett-Packard Corporation's investment department. Mr. Kingston has direct experience in public equity, private equity, venture capital, real assets, alternative investments, and fixed-income areas. Before starting a career in investments, Mr. Kingston spent five years as an officer on active duty with the U.S. Coast Guard. Mr. Kingston holds a B.S. in Science from the U.S. Coast Guard Academy and an MBA from the Wharton School of the University of Pennsylvania. Mr. Kingston is a Chartered Financial Analyst and currently serves on the board of the Pacific Northwest Ballet Foundation. 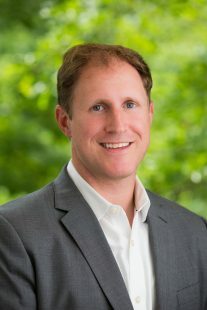 Josh Tilley is a Managing Director of Investments at Morgan Creek and one of the founding members of the investment team. Mr. Tilley is responsible for the management and construction of portfolios across Morgan Creek's various investment solutions, including related research and analysis that spans a number of different asset classes and sub-strategies. Prior to joining Morgan Creek in 2004, Mr. Tilley served as an Associate in the Public Investments Division at UNC Management Company. Mr. Tilley functioned in various capacities, including research and due diligence that contributed to individual manager selection, overall portfolio strategy and tactical asset allocation decisions. 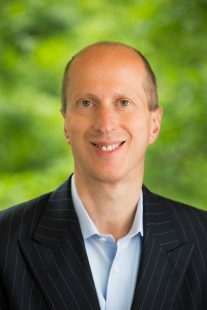 Prior to joining UNC in 2003, Mr. Tilley was an Analyst in the Investment Banking Division at Lehman Brothers where he worked to complete transactions totaling in excess of $6 billion across Lehman’s multiple product lines. Mr. Tilley received his Bachelor of Science in Business Administration, with distinction, from the University of North Carolina at Chapel Hill. As the head of Asian Investments, Mr. Lee spearheads Morgan Creek's investment strategy and activities in the region with a particular focus on China, investing in both funds and co-investment opportunities. Prior to relocating to Shanghai in 2011, Mr. Lee was based in Morgan Creek's Hong Kong office from 2009 where he assisted in all Asian private investment activities in the region. Mr. Lee joined Morgan Creek in its Chapel Hill headquarters in 2007 where he facilitated screening and analyzing private asset fund globally. 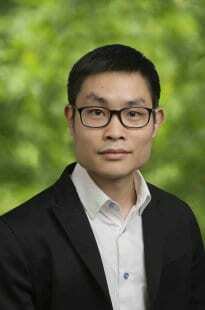 Mr. Lee received his Bachelor of Science Degree in Commerce, with concentrations in Finance and Accounting, from the McIntire School of Commerce at the University of Virginia. Mr. Lee is fluent in Mandarin and has earned the Chartered Alternative Investment AnalystSM designation. Cory Lester joined Morgan Creek in January 2006. Mr. Lester's primary responsibilities include hedge fund manager sourcing and due diligence, portfolio management, and topical market research. Mr. Lester has worked from Morgan Creek's New York office since 2006 and was promoted to Managing Director, Public Investments in 2015. During his tenure at Morgan Creek, he has focused on a variety of geographies, asset classes, and investment strategies. Since 2012, Mr. Lester's primary focus has been Opportunistic Equity across Morgan Creek's various investment solutions and portfolios. Prior to joining Morgan Creek, Mr. Lester was a Junior Analyst for Sands Point Capital Management in New York. He graduated from Davidson College in 2005 with his Bachelor of Arts Degree in Economics. 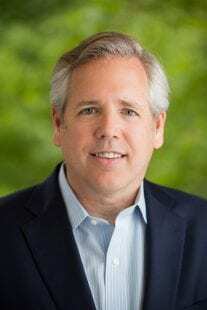 Mark Morris is a Senior Advisor with Silvercrest Asset Management Group. From 2007-2017, he was a Managing Director of the public investment team at Morgan Creek. Prior to that he was a Managing Director at Ritchie Capital Management. Earlier in his career, Mr. Morris was Vice President at Citadel Investment Group, and an equity and high yield analyst at Franklin Templeton. Mr. Morris earned an MBA with High Honors from the University of Chicago Graduate School of Business. He earned his Bachelor of Arts degree in International Relations, with Distinction, from Stanford University. Andrew Schmeelk joined Morgan Creek in 2012. Mr. Schmeelk’s primary responsibilities include manager due diligence and selection, topical research, and general portfolio analysis across public investments. Prior to joining Morgan Creek, Mr. Schmeelk worked for Alternative Investment Management as an investment analyst, providing analytical resource to both the hedge fund and private equity platforms for the firm. Mr. Schmeelk graduated from Villanova University, where he received a BA in Political Science. Darpan Biswas joined Morgan Creek in 2010. Mr. Biswas’s primary responsibilities at Morgan Creek include manager due diligence, research, and general portfolio analysis for the Morgan Creek’s public strategies. Prior to joining Morgan Creek, Mr. Biswas completed his Master of Business Administration as a Dean Scholar at the University of North Carolina at Chapel Hill. While completing his degree, Mr. Biswas served at the North Carolina Department of State Treasurer working on manager due diligence, investment analysis, and organizational projects. Mr. Biswas also served as the portfolio manager of a $1.8M fund at UNC where he invested in securities across multiple asset classes. Before business school, Mr. Biswas consulted with firms in the financial services and telecommunications industry at Deloitte Consulting. Mr. Biswas received his Bachelor of Technology degree in Computer Science from the Indian Institute of Technology at Kanpur in India. Frank Tanner joined Morgan Creek in 2013 and is primarily responsible for Private Equity and Real Assets investments, including sourcing, diligence, and deal and manager research across primaries, co-investments, directs, and secondaries. In addition, Mr. Tanner works with clients to analyze private opportunities and optimize private asset portfolio allocations. Prior to joining Morgan Creek, Mr. Tanner interned with Charlotte-based WestEnd Advisors, where he performed macro research and security analysis for a global, large cap, core equity fund. Mr. Tanner received a Bachelor of Science in Business Administration and graduated with distinction from the University of North Carolina at Chapel Hill, where he also was a Men’s Varsity Basketball letterman. 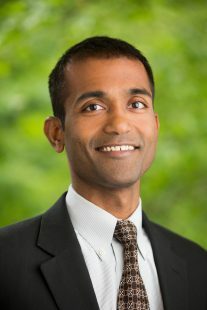 Oam Patel joined Morgan Creek in 2018 and is primarily responsible for sourcing, diligence, and research across the areas of private equity, venture capital, private debt and other real assets for a variety of investment strategies including primaries, secondaries, co-investments and direct deals. Prior to joining Morgan Creek, Mr. Patel was an Investment Banking Analyst with FMI Capital Advisors, where he focused on executing mergers, acquisitions, and private capital placements across the infrastructure space. Mr. Patel previously interned with Morgan Creek where he led the initial deal screening process and assisted in various areas of Morgan Creek’s investment efforts. 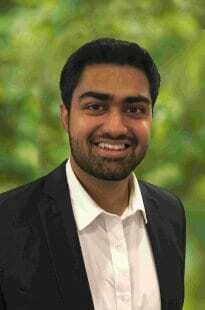 Additionally, Mr. Patel has completed several internships in commercial real estate. Mr. Patel received a Bachelor of Arts in Economics from the University of North Carolina at Chapel Hill. Tina Li joined Morgan Creek in 2014 and is based in Shanghai. Her responsibilities include manager due diligence and selection, topical research and portfolio analysis. 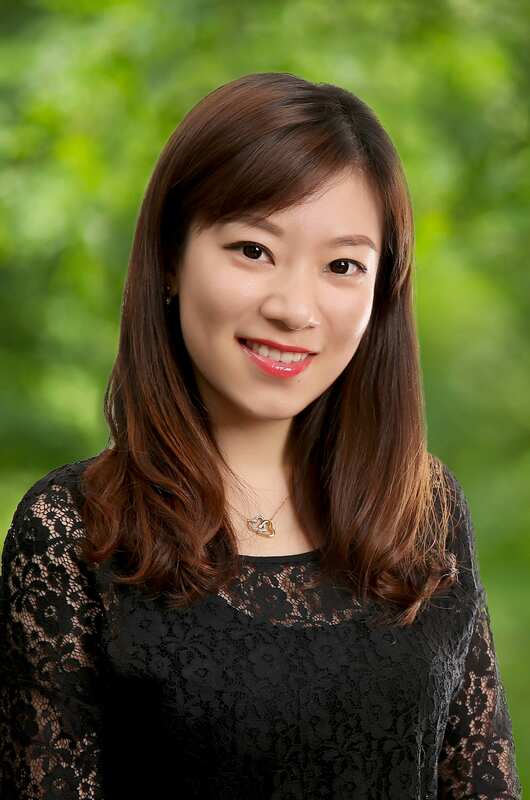 Prior to joining Morgan Creek, Ms. Li was a Senior Auditor at Ernst & Young in Shanghai. Ms. Li received her Bachelor of Science in International Accounting & Finance from the University of Bradford, and holds a Master’s Degree in Accounting and Finance from the University of Birmingham. Mandy Yang joined Morgan Creek in 2014. 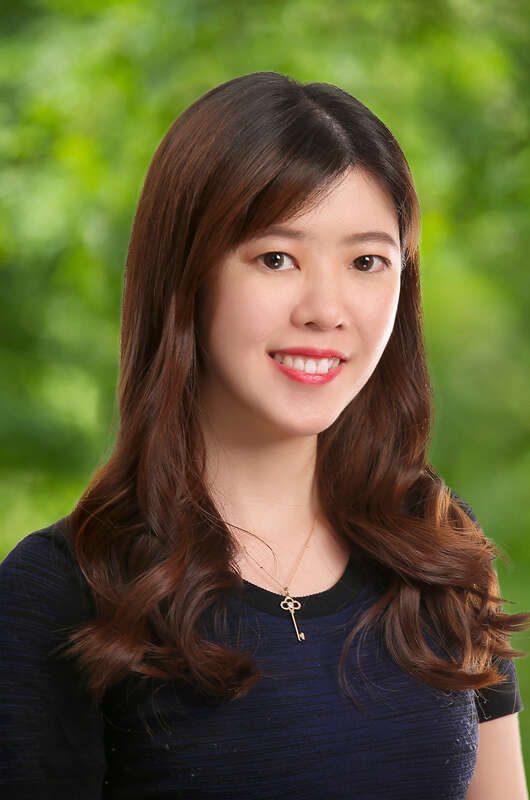 Ms. Yang is responsible for fund and co-investments due diligence and portfolio analysis for private investments across early to growth stage, monitoring existing commitments and sourcing ideas with a focus on TMT and Consumer sectors in China. She also perform and deliver independent research on China/Asia macro, industries, sector verticals and companies to investment team. Prior to joining Morgan Creek, Ms. Yang was a Senior Auditor at Ernst & Young in Shanghai. Ms. Yang received her Bachelor of Economics from the Shanghai University of International Business and Economics, and holds a Master’s Degree in Management Science from Vrije Universiteit Brussel in Belgium. Mr. Forstl leads intermediary distribution and is based in New York. 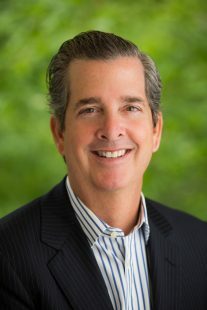 Prior to joining Morgan Creek, Mr. Forstl was Founder and Principal of Strategic Intro, a distribution development consulting firm that provides advice to asset management organizations in the launch, distribution development, marketing, and training of new and existing product offerings and platforms. Prior to Strategic Intro, Mr. Forstl was at ING Investment Management where he was responsible for the distribution through independent and regional broker dealers of ING’s wide array of investment solutions that include mutual funds, separate accounts, offshore funds, closed-end funds, structured products, and sub-advisory services. Prior to ING Investment Management, Mr. Forstl spent 20 years at Nuveen Investments in a number of distribution and product development leadership positions. Mr. Forstl has also held positions with Security Pacific Merchant Bank, VanKampen and Dean Witter. Mr. Forstl received a BA in Economics from the University of Georgia. He is a graduate of the Securities Industry Institute and holds his CIMA designation in conjunction with IMCA and the University of Pennsylvania’s Wharton School of Business. Mr. Forstl currently is a member of IMCA's Government Relations Committee and MMI’s Alternative Investments Committee. Mr. Forstl holds his 7, 24, 65 securities licenses. Mr. Sellars leads the Investor Relations group based in Chapel Hill and is responsible, for global business development and client relations. He has been with Morgan Creel since 2011. Prior to joining Morgan Creek, Mr. Sellars was a Managing Director at Signet Management, where he was responsible for U.S. Client Relations and Business Development. 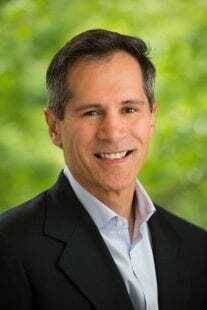 He spent fifteen years at Merrill Lynch, primarily based in New York, as a managing director in the Global Markets Institutional Group overseeing the Latin American emerging market sales unit. This team participated in more than $20 billion of equity financing deals and consistently held a top-ranking in their marketplace. Mr. Sellars received Bachelor of Arts degrees in Chemistry and Economics from the University of North Carolina at Chapel Hill. He also received his MBA, with a Distinction in Finance, from The London Business School. He holds Series 7, 9, 10 and 63 securities licenses. Chris brings over 17 years of intermediary distribution and investment research sales to Morgan Creek. Most recently, Chris was at Beaumont Capital Management, a $1.5 billion RIA. As National Sales Manager, Chris was responsible for 9 salespeople while acting as player/coach, focused on selling tactical and multi-asset SMAs into the intermediary channel. 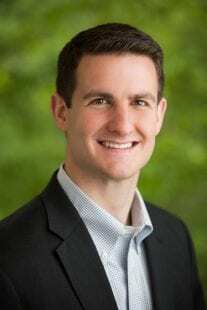 Prior to that, Chris was Vice President, Business Development at Windham Capital Management selling GTAA strategies to RIAs, family offices and broker dealers. Earlier in his career, Chris sold investment research to investment managers at Thomson Reuters before becoming a Private Wealth Advisor at Alliance Bernstein and The Bank of New York Mellon. He made the career move to the wholesaling side in 2009 joining TS Capital where he acted as a player/coach marketing both traditional and alternative investments. Bill is responsible for investor solutions and service with a primary focus on the institutional sector. Bill has 25 years of experience working with institutional clients in the areas of investment strategy, asset allocation, and alternative and traditional manager strategies. Before joining Morgan Creek, Bill served as Managing Director, Head of Sales & Client Service and member of the Investment Committee for Cain Brothers Asset Management (“CBAM”). Prior to CBAM, Bill was Senior Vice President with Graham Capital Management, a global macro CTA, Managing Director with Zacks Investment Management focusing on equity market neutral strategies and Principal with Barclays Global Investors in the Americas Client Service Group. Bill was also President and Chief Operating Officer of Vantage Consulting Group, a Virginia based investment consulting firm. Bill served on the adjunct faculty of the University of Virginia in 1988 team-teaching an executive seminar in portfolio management. He has also been a guest lecturer for the MBA programs at The College of William & Marry and Rollins College. His publications include contributing to "Cases in Portfolio Management" edited by Robert F. Vandell and Simplifying the Global Equity Benchmark Decision with Stephen Schoenfeld. 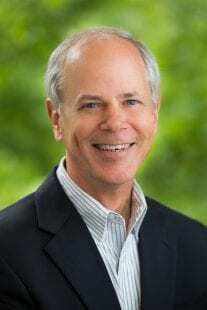 Bill also serves as a Trustee for the Winter Park (FL) Police Pension Plan and as a member of the International Advisory Board for Step Ahead Micro Enterprise Development, a Bangkok, Thailand based ministry providing microloans to the poor of Bangkok. He received an M.B.A. from the Darden School, University of Virginia, in 1986 and a B.S.E. in Naval Architecture and Marine Engineering from the University of Michigan in 1978. 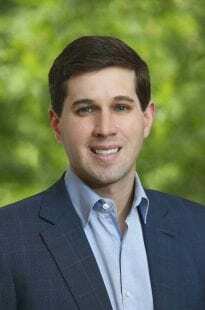 Macon Patton joined Morgan Creek in 2014 and is responsible for leading new client development initiatives with private and institutional investors. Prior to joining Morgan Creek, Mr. Patton was a Senior Vice President at Allen C. Ewing & Co in Charlotte, NC. He began his career at Autranet (a subsidiary of Donaldson Lufkin & Jenrette) in Institutional Fixed Income Sales & Trading. He then moved to Prague shortly after the fall of the Berlin Wall. There he spent several years working with a small investment company before moving to one of the leading Czech investment banks. His experience also includes work in real estate investment and development. Mr. Patton received his Bachelor of Arts degree in History from the University of North Carolina at Chapel Hill and holds Series 7 and 63 securities licenses. Erica Vrana joined Morgan Creek in 2008 as a Client Service Associate. Prior to joining the firm, Ms. Vrana worked at UBS Securities in New York where she was a sales representative and sales assistant on Mortgage Backed Securities trading floor. At UBS, Ms. Vrana had extensive experience maintaining client relationships as well as acting as a liaison inside UBS to resolve all operational issues for over 50 client accounts. Prior to UBS, Ms. Vrana worked at Bear Stearns on the Fixed Income trading floor working on both the U.S. Government Bond Desk and the Foreign Exchange department. Ms. Vrana received her Bachelor of Arts Degree from the University of North Carolina at Chapel Hill from the Journalism and Mass Communications School, where she was also a four year collegiate scholar varsity swimmer. Robin Butler joined Morgan Creek in 2004. Ms. Butler is responsible for developing the policies and procedures designed to ensure compliance with all applicable laws and regulations, including securities laws, as well as monitoring compliance with those policies and procedures and handling other day to day compliance issues. In addition, Ms. Butler acts as a liaison with outside fund counsel. Prior to joining the firm, Ms. Butler worked as Business Manager for HPL Management Co., LLC in Durham, North Carolina; as Assistant Vice President, Operations Manager, and Compliance Officer at Harrington Bank in Chapel Hill, North Carolina; and spent many years at Bank of America where she was a Bank Manager and Assistant Vice President in the Consumer Bank. 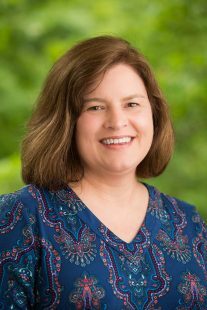 Ms. Butler received her Bachelor of Arts in Psychology from the University of North Carolina at Greensboro with minors in English and Anthropology. 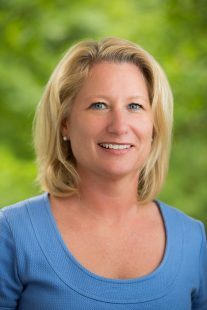 Laura Fisher joined Morgan Creek in 2008 and overseas cash management and tax compliance for the Company. Prior to joining Morgan Creek, Ms. Fisher worked for five years at Blackman & Sloop, CPAs, P.A. in Chapel Hill, North Carolina as a Senior Auditor. Her expertise is in public accounting, notably in ERISA and non-profit audits as well as tax preparation for businesses and high net worth individuals. Ms. Fisher received her Bachelor of Science in Business Administration from East Carolina University. Prior to joining Morgan Creek in 2008, Mr. Taylor worked for over ten years at Wellington Management Company, LLP, one of the largest private institutional asset managers. Nick served as Director of Financial Control and Vice President, where he led the formation and operation of a financial control and risk function. Prior to that, Mr. Taylor formed and managed Wellington Management’s International Accounting group, where, as International Controller and Vice President, he was responsible for financial accounting, financial and regulatory reporting. In this role, he worked extensively across the firm to support the financial, operational, regulatory, compliance and tax aspects of the firm’s US and international affiliates. Prior to joining Wellington Management, Mr. Taylor worked for four years for PricewaterhouseCoopers in their audit practice in both Boston, Massachusetts and London, England. He is a Certified Public Accountant and member of the American Institute of Certified Public Accountants and the North Carolina Association of Certified Public Accountants. He received his MS/MBA in Accounting from Northeastern University, and has Bachelor of Arts with honors from the University of East Anglia, UK. Prior to relocating to Chapel Hill, Mr. Taylor served on the Finance Committee for the Town of Rowley, Massachusetts for five years and was the founding Treasurer and Board Member of the Triton Education Foundation, Inc, the only district-wide educational not-for-profit supporting the school district. 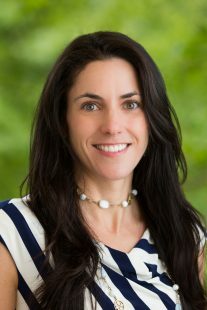 Taylor Thurman joined Morgan Creek in February 2006 and serves as the Director of Fund Operations. He manages the firm's operational due diligence program, client administration and reporting operations, and product structuring activities. 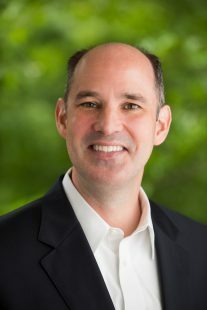 In addition, Mr. Thurman serves as the Chief Compliance Officer of the firm’s suite of registered products and is responsible for Board level communications. 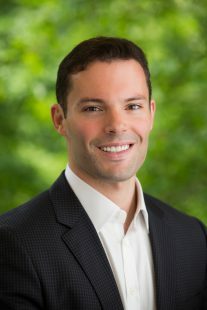 Prior to joining Morgan Creek, he spent three years at Cambridge Associates, LLC where he led a team focused on client reporting and portfolio analytics for international institutional investment portfolios. He also spent time with Arthur Andersen LLP's audit practice. Mr. Thurman received his BS in Business Administration and Accounting from Washington and Lee University. He is a CFA charterholder and is a member of the CFA Institute and the North Carolina CFA Society. Mr. Vannoy joined Morgan Creek Capital Management LLC in January 2006 and oversees the financial operations of the fund of funds products. Prior to joining Morgan Creek, Mr. Vannoy’s career consisted of five years with Ernst & Young and KPMG in both the United States and Cayman Islands with a primary focus on offshore captive insurance, hedge funds, venture capital, and early stage start-ups. Mr. Vannoy also spent time with Progress Energy as a business analyst in the merchant trading group providing back office support for gas and power trades, including booking of gas/power swaps, futures and other financial derivative trades and Nortel Networks in the technical accounting group leading the revenue/contract recognition and fair value strategy initiative for the wireline business unit. Mr. Vannoy received his BS in Accounting from North Carolina State University and a Master in Accounting from North Carolina State University. He is a Certified Public Accountant in the state of North Carolina and a member of the American Institute of Certified Public Accountants (“AICPA”) and the North Carolina Association of Certified Public Accountants (“NCACPA”).